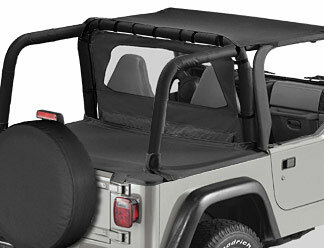 Jeep 03-06 Wrangler & Unlimited. Black Diamond. Anyone who has driven any distance with just a Bikini knows that the wind wreaks havoc on your hair, your clothes, and anything else that''s not tied down. The solution is a Bestop Windjammer™. Our Windjammer cuts the wind out, so you arrive at your destination looking fresh and feeling energetic, not beat up and haggard.